Esteemed director Max Stafford-Clark joins forces with the UK’s most prolific playwrights in order to present an evening of thought-provoking political satire. A View from Islington North will consist of a variety of original short plays contributed by the likes of David Hare and Caryl Churchill, creating an engaging and challenging production at London’s Arts Theatre. 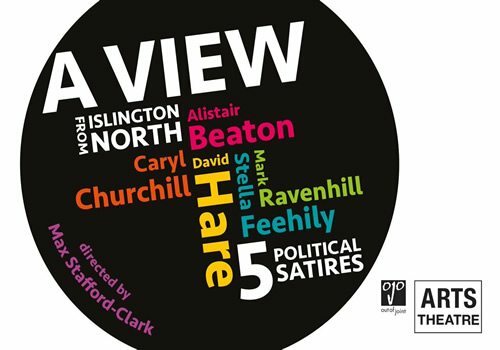 A View from Islington North combines a wide collection of plays, including The Accidental Leader by Alistair Beaton (King of Hearts) and How to Get Ahead in Politics by Stella Feehily (Duck), which both seek to expose controversial conspiracies behind the closed doors of major political parties. David Hare (Mother Courage and Her Children) plants us in the mind of current Chancellor of the Exchequer George Osborne in his provocative play Ayn Rand Takes a Stand. Mark Ravenhill (Mother Clap’s Molly House) examines the costly damage of military misadventures in The Mother, and Caryl Churchill envisions a world of ever-increasing advertisement in her play Tickets are Now on Sale, where even language is sponsored. 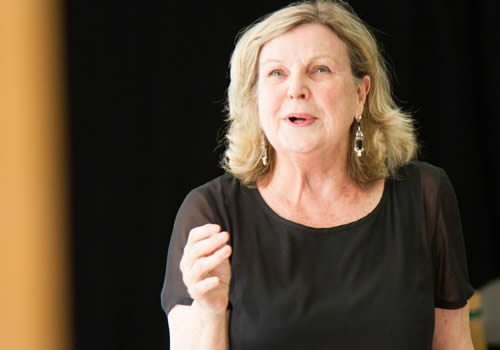 An evening of stimulating social and political commentary, A View from Islington North is imagined by Stafford-Clark, who is well-known for directing multitudes of plays such as Churchill’s Top Girls. The production is designed by Tim Shortall, with lighting design by Jason Taylor, sound design by Dyfan Jones and original music by activist Billy Bragg. The collection of productions is presented by Stafford-Clark’s Out of Joint, a national touring theatre company which dedicates itself to investigating current society by premiering work from leading playwrights. An all-star cast has been announced, including Sarah Alexander (Green Wing, Armstrong and Miller), Bruce Alexander (A Touch of Frost), Steve John Shepherd (EastEnders), Jane Wymark (Midsomer Murders), Joseph Prowen (And Then There Were None), Ann Mitchell (EastEnders) and Kathryn O-Reilly (Call the Midwife). Brought together at London’s Arts Theatre, the evening is an opportunity to showcase important new writing that challenges and questions the current political climate. A View from Islington North opens in the West End on May 18th and runs until July 2nd 2016. A View from Islington North contains adult and political themes which may not be suitable for young children.